Who is Ohio's 'Buckskin Girl'? (Newser) – A few grains of pollen might help authorities solve a 35-year-old murder mystery, WKRN reports. According to CBS New York, a woman known as "Buckskin Girl" for the jacket she was wearing was found in a ditch alongside an Ohio road in 1981. She died from wounds to the head, but no one has ever been able to identify her. 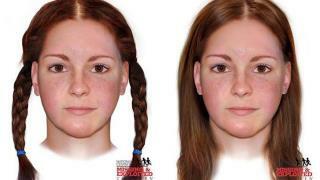 Now forensic scientists studying particles found on the woman's clothing think they may have some clues. Gotta justify their absurd pay with this nonsense. There is always evidence. Sometimes not enough, but it is there . Well that should clear things up?